What's With The Danes And Time? 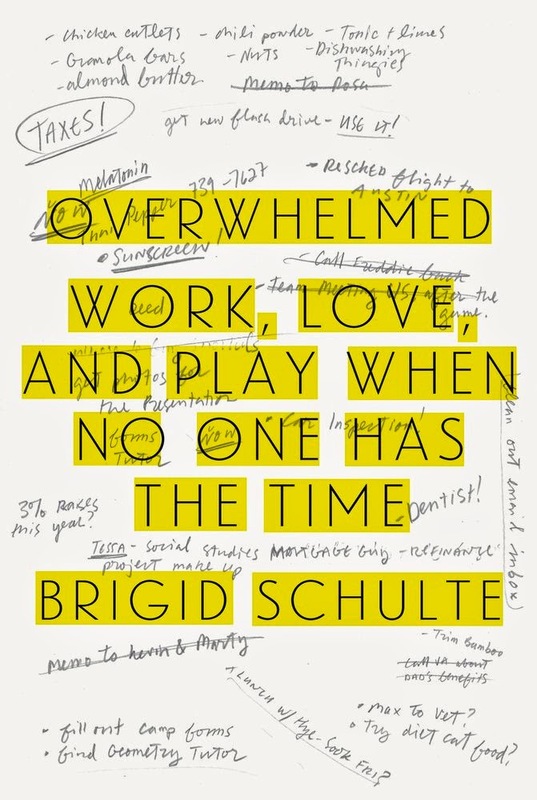 I think Brigid Schulte's big interest in Overwhelmed: Work, Love, And Play When o One Has The Time is seeking support for her struggles with time, which means support for others like her. She contacts a number of groups of women who are doing things like trying to simplify their lives or managing to function comfortably as high achievers. I'm more interested in going right for the skills. When Schulte wrote about Denmark, seeking out a culture where time studies show that women workers have more leisure time than in other countries, I wanted to hear more about how they did it. Schulte says, "I am struck for the first but certainly not the last time as I began to visit more Danes' homes that there is no junk...I was assured again and again that Danes simply do not buy, produce, or save as much stuff." She only gave one paragraph to the issue of material possessions' impact on our use of time, which just happens to be one that I'm interested in. Does lack of stuff really have an impact on the Danes' overall use of time? If they really aren't into acquiring and keeping, why not? How Do They Stay On Task At Work? Schulte is assured by the couple that is the main focus of her Denmark chapter that Danes "work in a very focused way. Lunch is usually no more than half an hour...In Denmark, there isn't a whole lot of joking around the watercooler or Facebook checking in the office, they explain. You do your work and you go home." That's how Danes are able to stick to a 9 to 4:24 schedule and get home without bringing work with them. How, how, how? How are they able to deal with interruptions from clients and supervisors with surprise assignments? What about chatty co-workers? Do Danes not get chatty at the office? I'm not questioning whether or not these people are doing these things. I just want to know how so I can do it, too. It sounded great to me as well; I'm someone who has spent a lot of time in my 57 years (or at least the last 35 to 40) attempting to create a simpler life for myself. I wrote a book about the latest attempt (A Forest A River and me)... and part of what I found, for myself, was that a simpler life was actually quite hard to create, at least in America. Definitely, not feeling a need to own all the latest or coolest new stuff helps. If I don't spend money on those things I can save, or work less (I work for myself). I also think that multitasking has been proven hard on the brain and the nervous system, and there are reports that it also cuts into quality. I feel much better when I am allowed to focus on one thing, give it my all, than when I am harried by several projects, demands, at the same time. Good God, why are we needing to run at such computer-like speeds (to prove we are still better than a computer?). In my mind, simpler is better. That doesn't have to be boring, lazy, unproductive. It can be very FREEing and rewarding. For the purposes of my blog, I'm interested in how less stuff impacts use of time. My reading about multitasking suggests it's not useful for managing time.